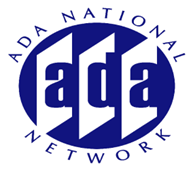 Do all elevators need to comply with the technical provisions in the 2010 ADA Accessibility Standards and the Architectural Barriers Act Accessibility Standard (ABAAS)? Are platform lifts permitted in any building or facility? This session will review the scoping provisions where vertical access is required. Additional guidance on accessible elevators, residential elevators, platform lifts, along with specific criteria for “limited use, limited application” elevators also known as LULA’s, will also be discussed. A presenter representing the National Elevator Industry will provide insight on the referenced standards for elevators and platform lifts.